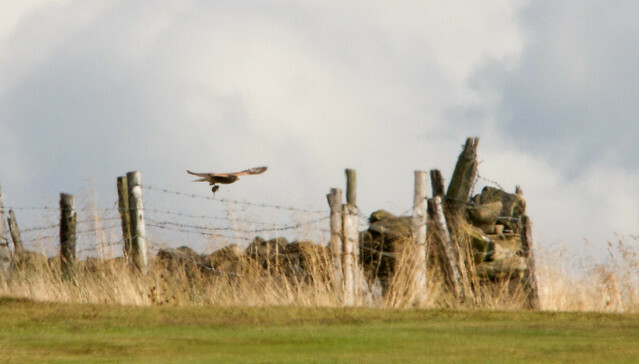 Kestrels are often seen when on Baildon Moor and one of my recent visits was no exception. 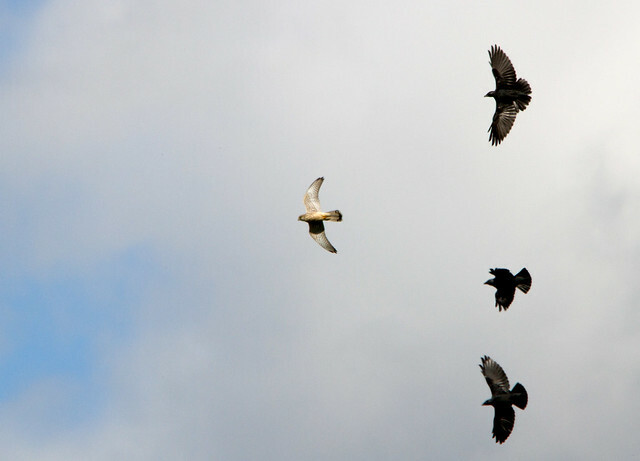 Over near Glovershaw there are often Crows and this shot shows that the Crows did not want the Kestrel hanging around their patch. 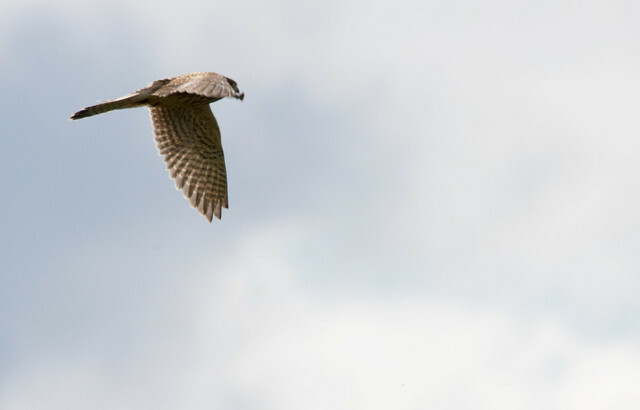 A few minutes later I heard the keekee of a Kestrel again and spotted this one with a rodent in its talon. 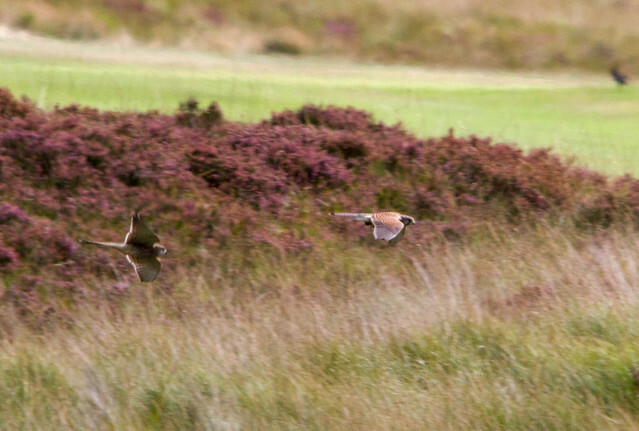 The noise was because it was being chased by a female Kestrel that probably wanted the rodent for itself. 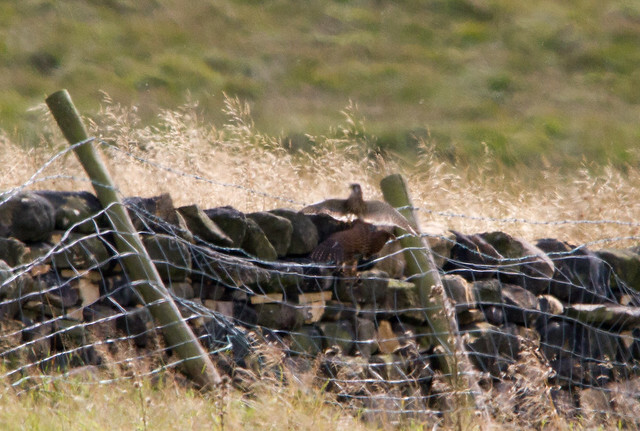 But quite soon they separated and one of them was quickly back hunting again. 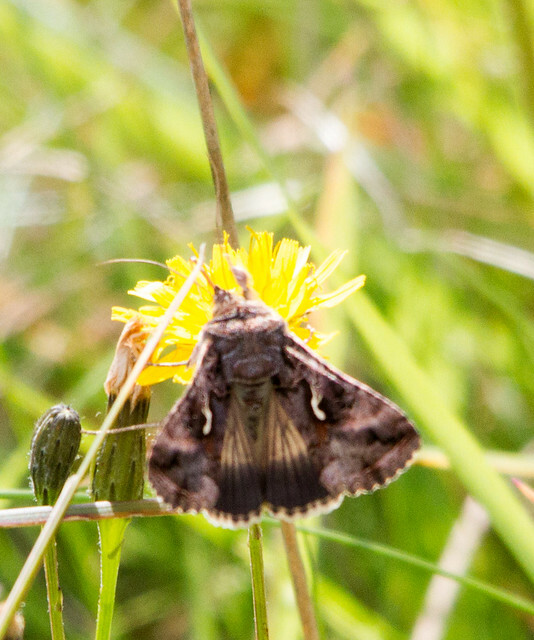 And just to show I don’t only watch birds here is a photo of a Silver Y moth which is apparently a common Summer migrant.